Power protection is recommended in every computing environment due to the threats posed by power surges, brownouts and other power problems. If you can’t afford to lose your company’s data or equipment, you should consider an uninterruptible power supply (UPS), power distribution unit (PDU) or power strip, depending on the needs of your business. We asked several small businesses to weigh in on this topic and the feedback was the same across the board. Here are three companies to explain why you need power protection. "We lost power for over a full work day." Maple Holistics, a beauty products company based on the east coast, had to learn the importance of power protection the hard way. “We have an uninterruptible power supply (UPS) now, but we didn't always,” company representative Nate Masterson explains. “It was a power outage that caused us to get the UPS. 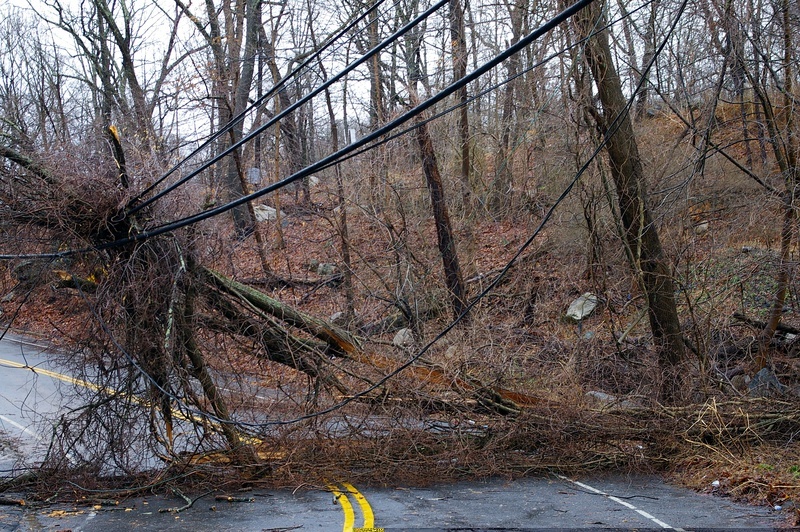 It happened a couple of years ago near our New Jersey offices as a result of a car accident involving a power line. We lost power for over a full work day. While nothing of severe consequence was lost, there were several time-sensitive projects that were completely compromised during the blackout, including some in our graphic design, accounting and content creating departments. "We've seen hardware completely fried because the sinewave was not clean and/or they had a surge or brownout." Triton Technologies manages businesses’ technology needs, allowing companies to grow without technology limitations. CEO Trave Harmon has helped many clients with power problems, but all too often, clients try to save money by keeping systems too sparse. “We have seen people try to get away with basic battery UPSes and not smart UPSes, which we highly recommend because of their ability to clean the sinewave. We've also seen hardware such as switches, external hard drives and desktop motherboards completely fried because the sinewave was not clean and/or they had a surge or brownout. One client years ago was very adamant about not getting a battery backup unit. We installed remote backups, on-site backups and basic search oppressors according to our client’s wishes. A thunder strike happened about 2 miles away causing a brownout. The basic UPS that they had on the server caused it to go into immediate overload and turn off. When it turned off the six hard drives in the RAID array, four died. We had new drives expedited overnight, but we had to do a complete online backup restoration in order to get it up and running. It took a couple days because the client did not believe in high-speed Internet so we had a tremendously slow DSL but luckily he only had a couple dozen gigabytes of data." "Sometimes, poorly configured UPS systems have contributed to the problem." Founder of Homeworking Club and IT Consultant, Ben Taylor, has also witnessed a handful of power-related tragedies. However, many problems he has noticed stem from improper configuration and maintenance of UPS devices. “I’ve been an IT consultant for over a decade, and some of my most stressful and dramatic system failure incidents have been related to power failures. Sometimes, poorly configured UPS systems have contributed to the problem. I looked after several different clients in a serviced office building in London which had very unstable power. On one occasion, a series of rolling power failures left the UPS devices struggling to cope. When hardware, like uninterruptible power supplies, are used and maintained, they can protect business critical data and hardware from unclean power, voltage fluctuations, brownouts, blackouts and more. Unfortunately, more often than not, businesses have to learn the hard way how beneficial power protection technology can be. Why not learn the easy way? Hummingbird Networks can help you identify which power protection options are appropriate for your business. Contact us today!